I love learning new crafting techniques. I have been happily crocheting away for a couple of years now, perfecting and speeding up in standard crocheting stitches, but I wanted to do something different and was considering branching out into knitting more. So I was browsing the internet one day to see if you could do a cable stitch in crochet (turns out you can – more here) when suddenly I came across a whole other bunch of crochet stitches that I never even knew about before! The one that really caught my eye however was broomstick lace -it is so pretty and swirly. For this stitch you require a cylindical implement to fix a series of crochet loops around (hence a broomstick, though I found that a drumstick is a good size), which creates a lovely loop pattern. It is hard to describe but the following blog has perfect instructions. I experimented with rows of two and discovered this would actually make a really nice bracelet or headband. 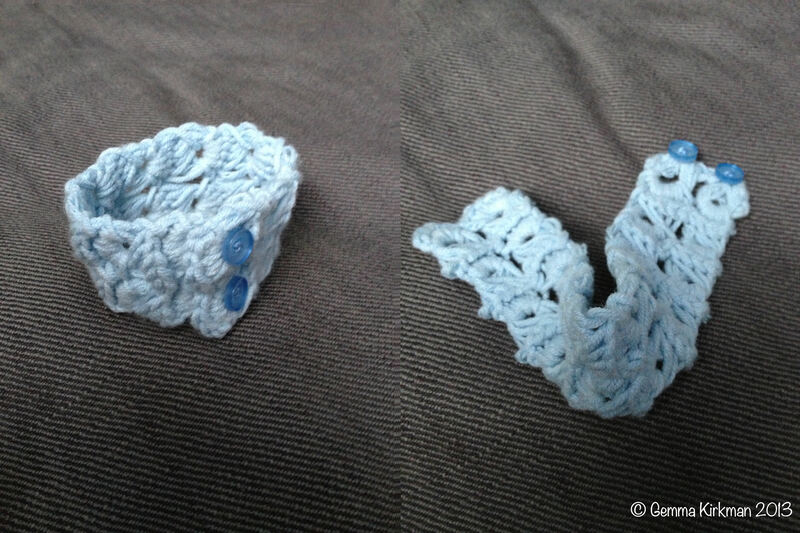 Here is my first attempt in blue, where I used a 9mm crochet hook to do the loop holes. 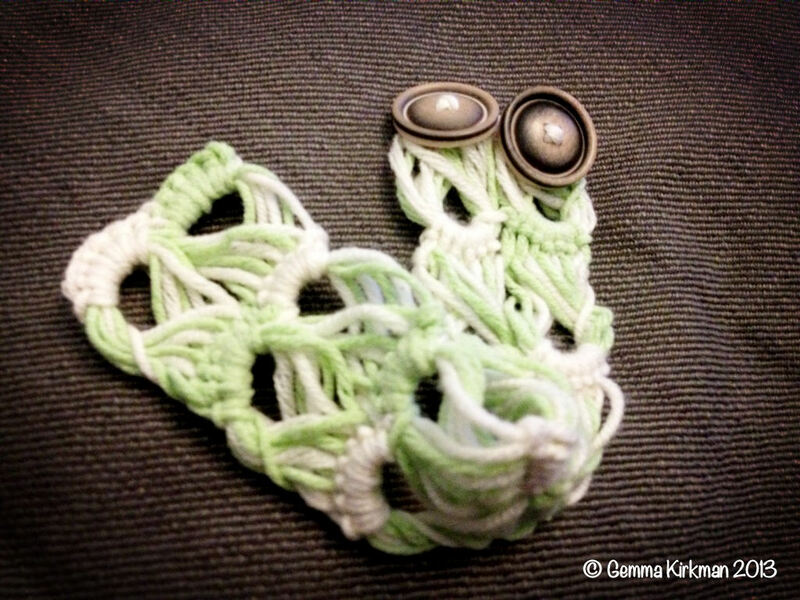 I then experimented and created this lovely two toned bracelet using green and cream, where I used the said drumstick to make bigger holes which suit a 2cm button. As well as headbands and bracelets, I think this stitch would make a lovely purse (lined with a contrasting fabric perhaps) or great edging to sleeves.